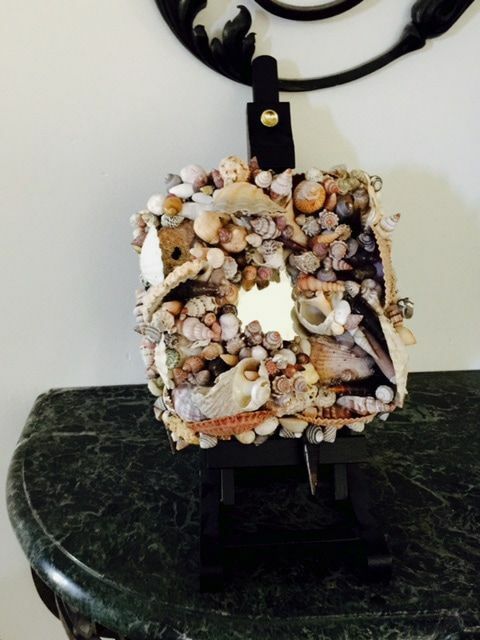 My Simply Shells Keepsake Box is a show stopper piece sure to start conversations flowing amongst your family & friends as this piece is intricately handcrafted. This Simply Shells Keepsake Box is pulled & interweaved together the way nature intended. This piece is style designed on sustainable farmed nature bamboo and is made up of bottom base & the top lid in creating this keepsake special memories box. This Simply Shells Keepsake Box is designed to hold those memories that we hold all so dearly to our hearts weather it's your engagement photos, wedding day, first birthday, first school dance, end of year 12 formal photos, priceless war photos, precious baby photos & family holiday photos, precious pet photos, or to store your jewellery in. This piece is sure too transform your mantelpiece, entranceway corridor, bed side table, kitchen bench or bathroom in-to creating a Beautiful seaside coastal feel to your interior decorating styling. 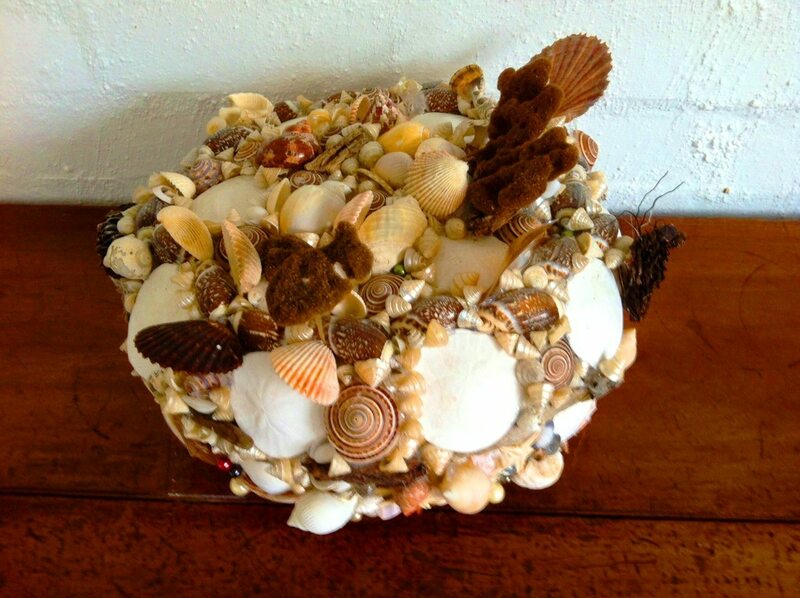 ​This Simply Shells Box is pulled together with beach, tide & coastal finds overlapping & interweaving the way nature intended. I have style designed this piece using old shell Beauties collected previously over the past 34 years since I was the age of 4 years of age from Sandy Point Main Beach, Shallow Inlet, Waratah Beach, Walkerville Beach all located down in South Gippsland in Country Victoria in-to creating this Something Real, Something Unique, Something Honest collected & created by Miffy piece. None of my previously collected old shell Beauties were collected alive & are non are endangered, none threaten species of shells, non exotic species of shells or critically endangered species of shells & all where collected deceased on the tide-line & found embedded in the sand-dunes, entangled in sea kelp deceased, embedded in beach rocks & kindly donated by family, friends & local fisherman donated me Mussel Shells & Scallop Shells. I have Style Designed this piece with Gorgeous Sand-Dollars purchased from Australian Sea Shells (on-line) located in WA & for the a stylish point of unique difference for the height factor incorporated dried sea sponges found along Sandy Point Main Beach in South Gippsland in Country Victoria & also collected from Fossil Beach located down in Mount Martha, Victoria. This Shoreline Shells Mirror is one of my most earliest naturally handcrafted pieces which I created over 7 years ago and it's been pulled together with old shell beauties previously in the past collected over 3 decades ago from South Gippsland Beaches and none of these 3 decade old shell beauties where collected non-alive, non-threaten species of shells,non-endangered species of shells, non- exotic species of shell s and all of these old shell beauties have been especially been stored away for 3 decades in creating She Shell Art decor and home-decorating creatons. This Dramatic piece is a show stopper and will most definitely get conversations flowing between family, friends and guests. This Shoreline Shells is constructed from a Sustainable & Recycled Timber Picture Frame & was pre-purchased on-line through Mulbury (www.mulbury.com.au) and I have style designed this piece with a Gorgeous arrangement of old shell beauties previously in the past collected from 3 decades ago from Sandy Point Main Beach, Shallow Inlet & Waratah Beach all located down in South Gippsland in Country Victoria. These Stunning old shell beauties which where collected 3 decades ago since the artist Miffy was the age of 4, and all where all collected non-alive, non-endangered species of shells, non-threaten species of shells and non-exotic species of shells. 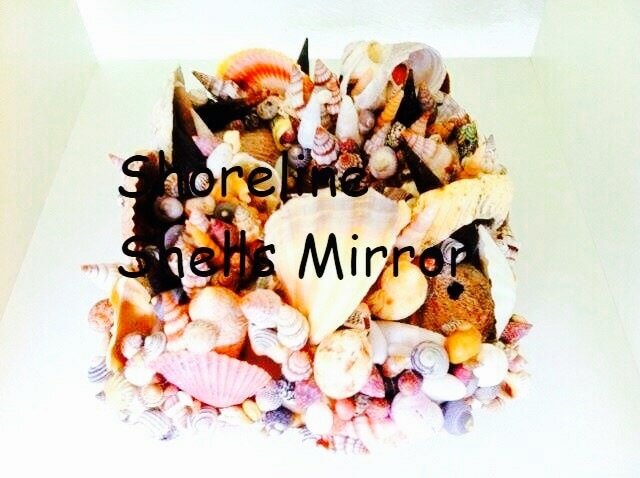 This Shoreline Shells Mirror is an Dramatic piece that can be displayed on a small art easel or on show to be admired on an entrance-way corridor mantelpiece or displayed on a coffee-table or would make the most Beautiful gift for that special someone by giving them an gift from the seaside, comes beautifully wrapped up and in an hessian hand-made gift bag with an sustainable bamboo She Shell Art hang-tag attached.